New age mobile technologies and the future of the 5G network will be a game changer for the industry opening doors to innovation and providing customers a unique digital experience, said an expert. 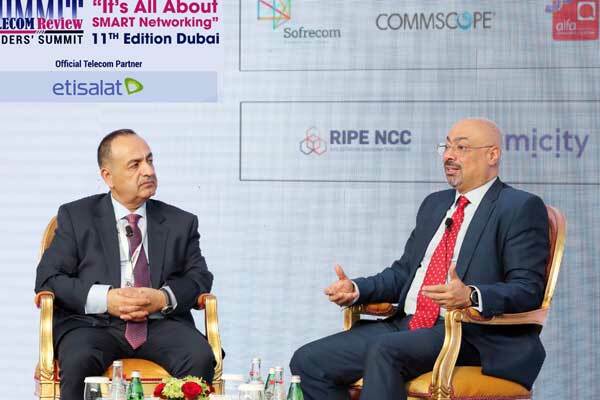 Hatem Dowidar, chief executive officer, Etisalat International made that statement at the 11th Edition of the ‘Leaders Summit’ being held in Dubai, UAE. The summit focused on the theme ‘It’s all about Smart Networking’. It brings telecom experts and leaders together on one platform to debate and discuss about future developments in the regional and global telecom industry. The attendees include decision makers from the telecom industry covering all segments in the ecosystem. Dowidar led the opening debate on ‘How Technology is affecting our daily life: Outlook 2025’ and the ‘Telecom Leaders’ panel focusing on ‘How do telcos address the digital transformation opportunities and challenges’. “Mobile technologies and applications have already made a profound impact on consumer behaviour raising the expectations for more sophisticated and innovative solutions. As we move ahead into the digital future, these technologies will provide a platform to create a unique customer experience,” he added. With Etisalat’s focus on ‘Driving the Digital Future to Empower Societies’, Ali Amiri, group chief carrier and wholesale officer, Etisalat, emphasised on the increasing importance of the network, he participated in the panel ‘Capacity and Data Traffic’ focusing on the changing requirements in capacity, cable marine industry and the role of the satellite in data tsunami. Mohamed H Almarzooqi, vice president - Technology Synergies Etisalat International, joined the discussion on ‘5G: Recalculating routes for new economic value’ focusing on ‘5G serving the next wave of traffic growth’, 5G technology and infrastructure, 5G economics and use cases and the role of SDN in business models and networks development.